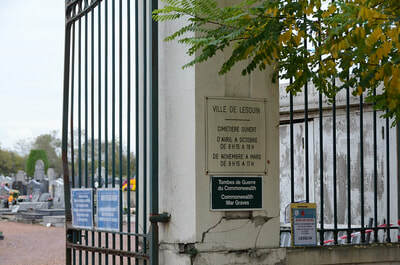 Lesquin is a town and commune 6 kilometres south-east of Lille in the Department of the Nord. 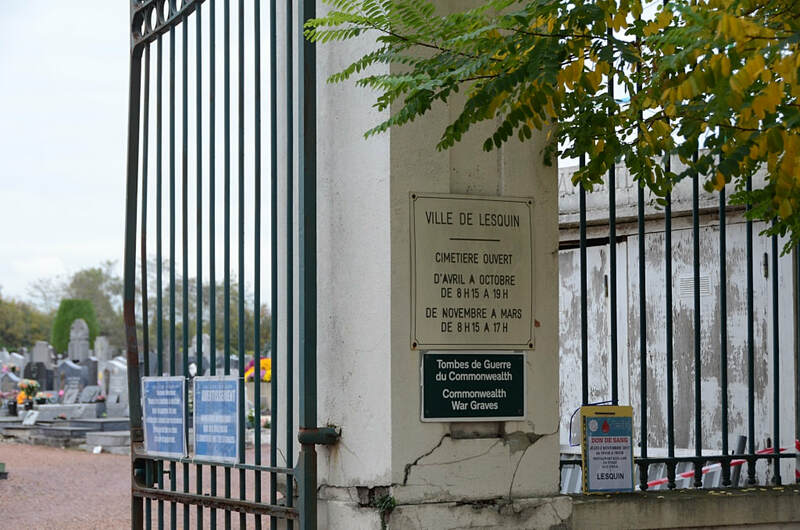 From the church, head north-west on the Rue Vottaire (D145), signposted Ronchin. 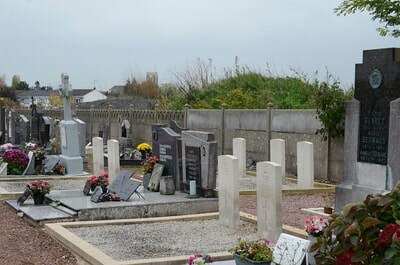 The cemetery is 600 metres on the left hand side of the road. 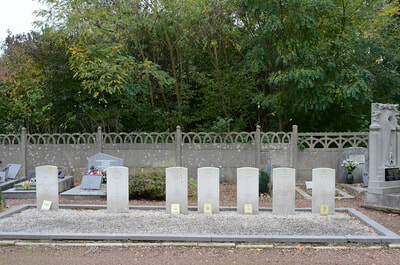 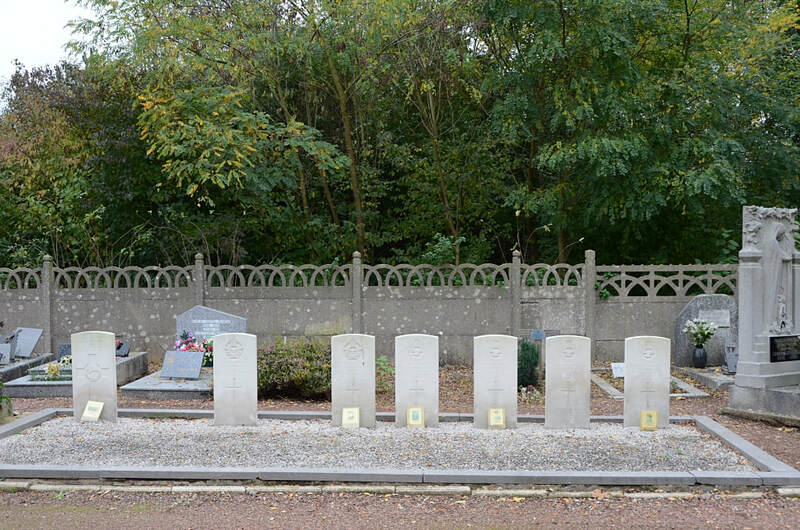 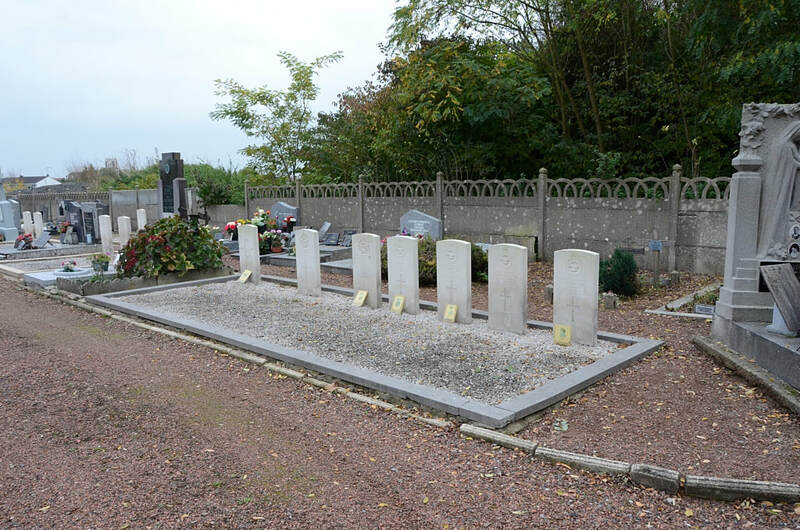 Use the second entrance into the Communal Cemetery and the War Graves will be found on the far side of the cemetery almost directly opposite the entrance. 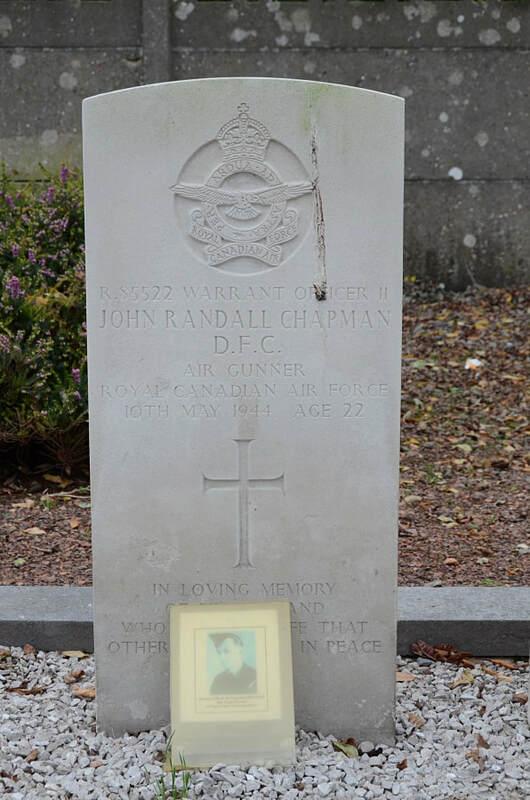 John Randall Chapman, D. F. C.
10th May 1944, aged 22. Son of John and Vera Chapman; husband of Margaret Winifred Chapman, of St. Thomas, Ontario, Canada. 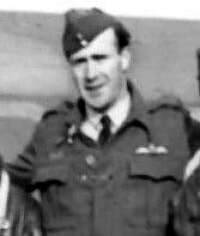 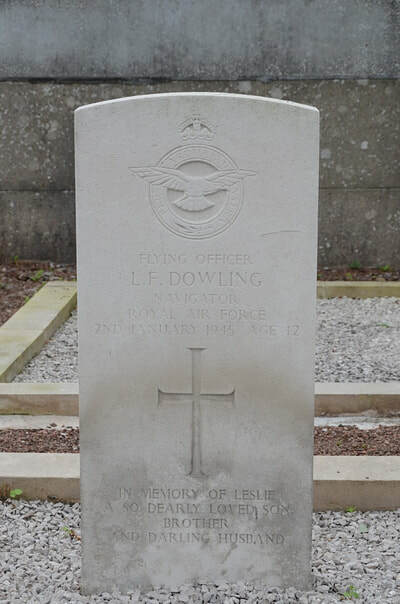 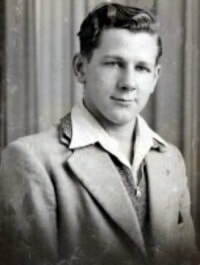 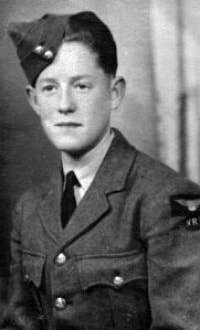 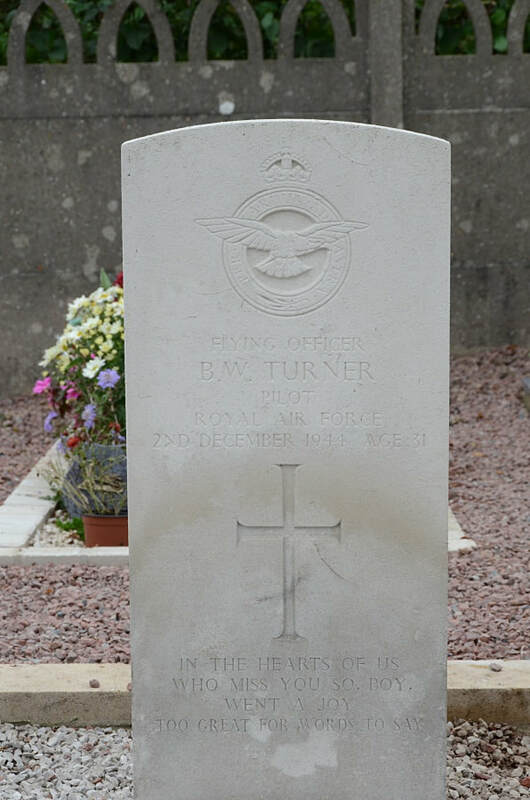 Donald Edmund Dunning Harvey, D. F. M.
10th May 1944, aged 21. 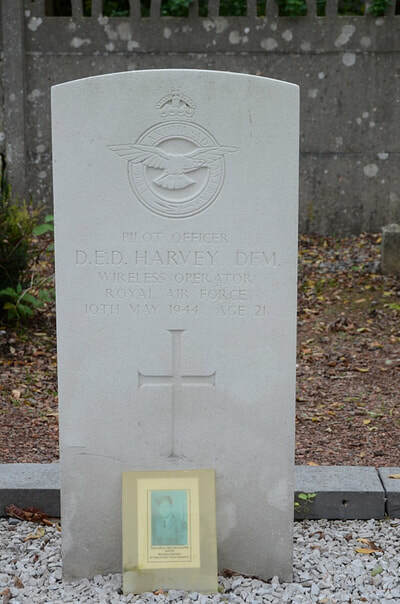 Son of Donald and Madeleine Maud Harvey, of Wetherby, Yorkshire. 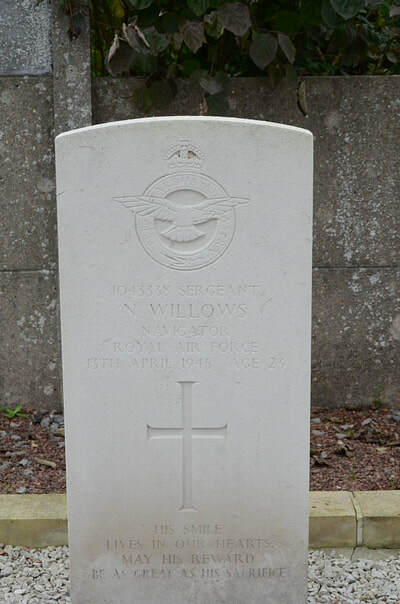 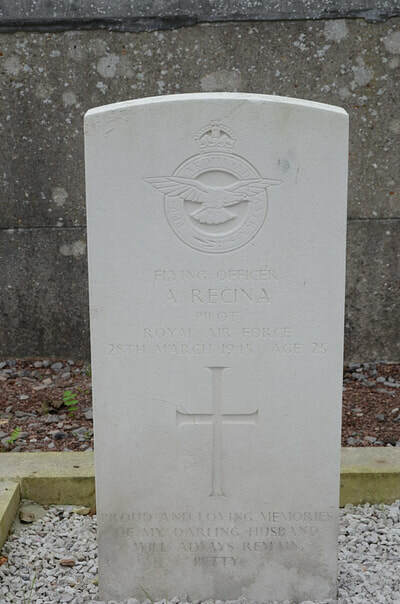 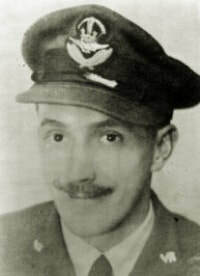 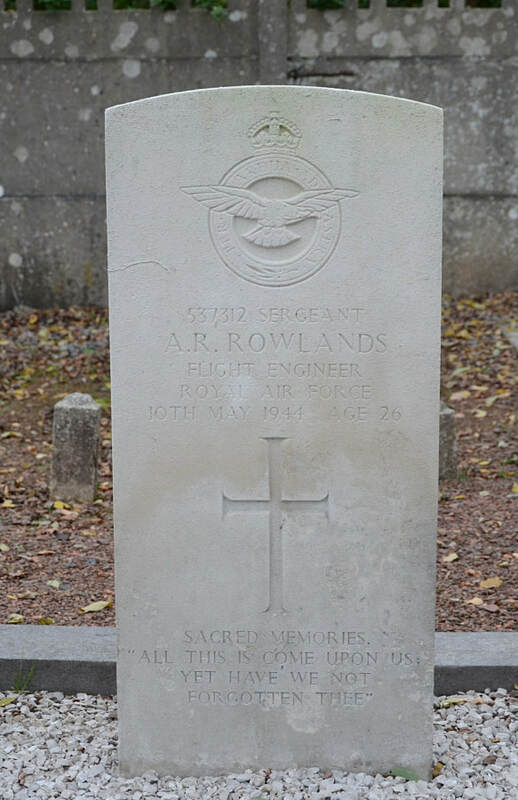 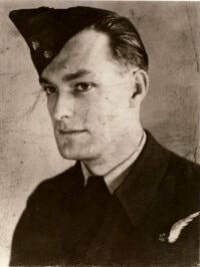 Leonard Cyril Jones, D. F. C.
10th May 1944, aged 35. 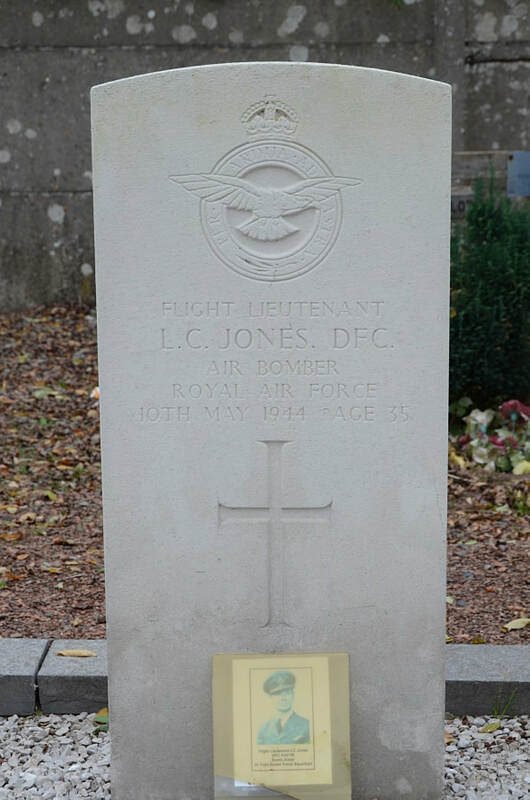 Son of Albert Edward and Gertrude Lily Jones; husband of Jessie Margaret Jones, of Leytonstone, Essex. 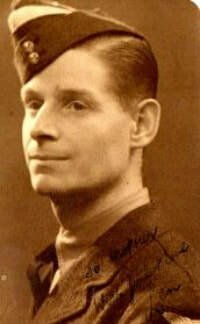 13th April 1945, aged 27. 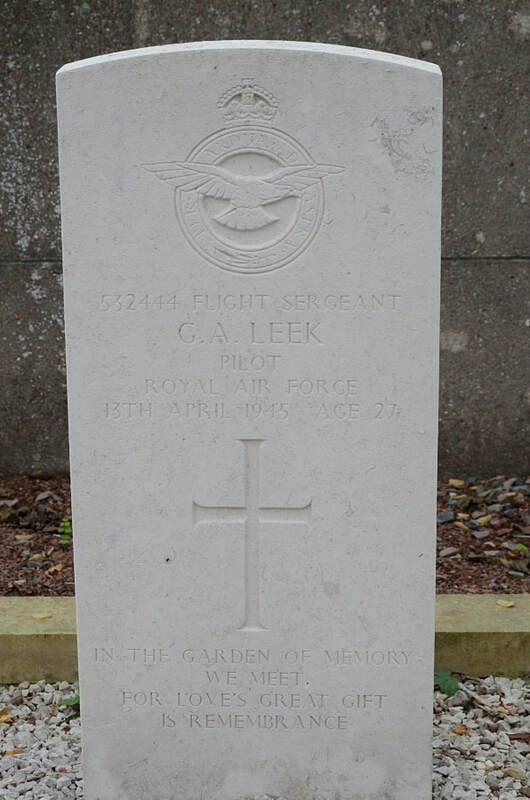 Son of Joseph Edward and Leah Leek; husband of Hilda Leek, of Harrogate, Yorkshire. 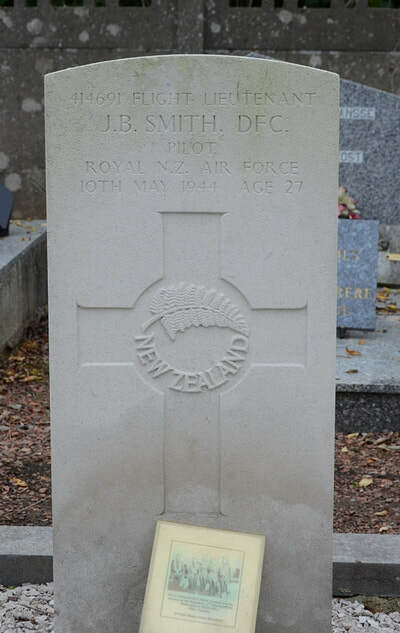 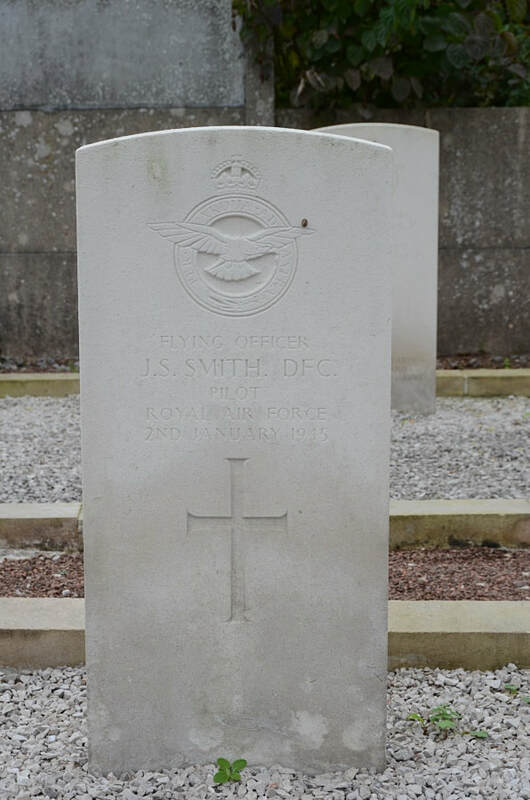 John Baird Smith, D. F. C.
Son of Thomas Smith, and of Martha Smith (nee Baird), of Dunedin, Otago, New Zealand. 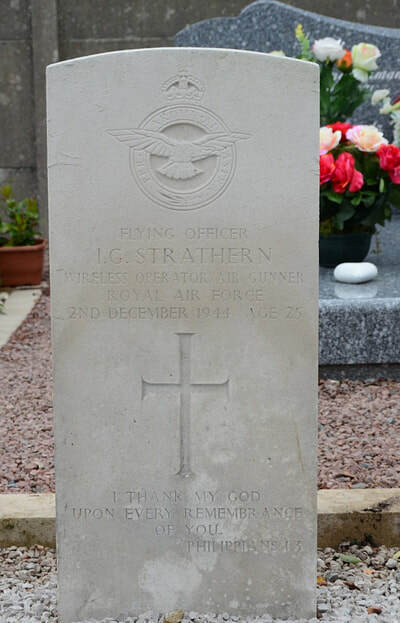 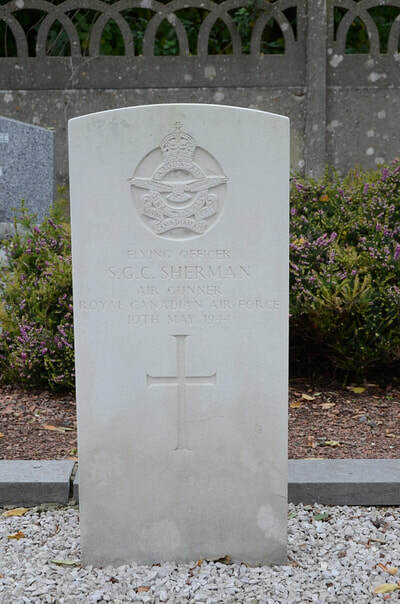 10th May 1944, aged 34. 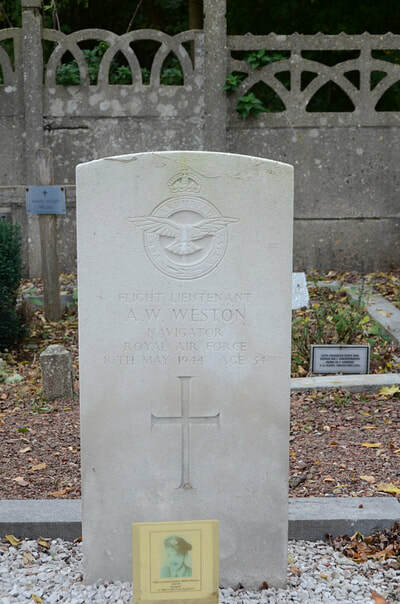 Son of Alfred Robert and May Weston; husband of Margaret Weston, of Southwick, Sunderland, Co. Durham.